Billie Dean is an innate interspecies telepath who, after 30 years of communing professionally with animals, is now bringing their urgent messages to the world through her not-for-profit, The Billie Dean International Deep Peace Organisation. Billie trained as a journalist, filmmaker and actress, and even worked as a stand-up comic, believing strongly in the healing power of humor. She is also a holistic health practitioner and is active in promoting animal rights and welfare. Billie began her working life as a photo journalist, has written for television and is the author of several children’s books, as well as a Secret Animal Business, a book about her work as an animal shaman. She has made three independent films, all with an eye to educate through uplifting, inspiring entertainment. She won a Best Actress for her feature film Finding Joy, which launched the Spiritual Cinema Circle in 2004. Billie has also trained as a Druid, and as a shamanic practitioner in the Inkan tradition. She runs the animal forever home, A Place of Peace, where over 40 rescued horses run free. 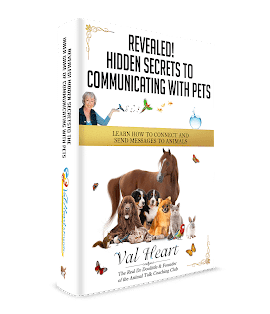 She now teaches The New Shamanism through her on-line school Rainbow Fianna, bringing back a code of ethics and an understanding of the world of telepathy, respect and the unseen, which the animals need us to understand today. What the animals want us to desperately know right now. Whether animals have an understanding of humans as carnivores. What an animal shaman is and what they do to care for the animals on our planet. What The New Shamanism is, and what it could mean for you. How The Billie Dean International Deep Peace Organisation is working to support animals across the world.